As I detailed in my Semifinals Post, Venables defensive scheme is cutting edge Aggressive Variety. Even the absence of one of his top defensive players didn’t slow the defense down. That same player is out again for this game – but no matter – Venables D will show up to play. The big question is – will it be enough? When Venables first came to Clemson he had the experience of the Stoops defensive style. An aggressive mix of pressure and coverage which at one time was cutting edge. Venables took over for Vic Koenning who also had some Stoops influence, but took more after the inventive brilliance of Joe Lee Dunn. Dunn’s variety combined with Buddy Ryan’s all out aggression helped change the nature of Pressure Defense forever more. Venables combined his ideas from the Stoops Brothers with Koenning’s mix and came up with a 3-3 hybrid type of coverage/pressure mix that was successful right away. From there it only got better. He started experimenting with more pressure using the 4-3 hybrids he learned from the Stoops and settling on more Quarters in his coverage. This was something Mike Stoops was doing at the time at OU. It was an aggressive scheme, but not enough variety. Which eventually reduces aggression. If you look at the stats at that time, Clemson was getting twice the QB Hurries as Sacks. There simply wasn’t enough deception versus PS Offenses to create and finish big plays. Stoops never fully adjusted. Venables did. Finally Venables found a cohesive way to combine his Stoops ideas with the Koenning/Dunn mix. The result was cutting edge. Aggressive variety with simple clear concepts and schemes that players could execute. Thus reaching their full potential and beyond. Both as individuals and more importantly as a Team. 2016 was a time where all the pieces were really coming together in this scheme. Clemson already had top notch Defenses – even when they lost a lot of players to graduation. But at this point in Time, Venables Aggressive Variety was leaping ahead of the rest of the field. My analysis of every defensive play in the 2016 Auburn game shows that not one defensive scheme was the same as the next. A constant mixing of aggression in coverage and pressure thru changing looks and schemes. All simple enough for the average college player to execute. If you watch the video it may not look like much. But check out my analysis then watch some of the vid and you will see what I mean. The concepts and schemes have become clearer in the last two years and Venables can basically run this PS Defense anywhere with a lot of different talent. He also uses a lot of players. Thus he’s a full PS coach in terms of Space,Time,Team. Will It Be Enough vs PS Bama? Great question. Due to Saban’s full Power Spread Attack it wont be easy. We have never seen this much talent combined with PS Schemes in the history of the game. Power Spread is so effective that a team like Appalachian State can beat a team like Michigan. Combined with the level of Talent at Bama it’s virtually unstoppable. Saban will tell you his philosophy is all about Execution. This is a bit of BS. Every coach strives for this. And yes – Saban feels he creates schemes that are simple enough to execute properly and intricate enough to win. Again, EVERY coach strives for this. The fact is that Saban has been a Power Spread coach for a long time – but mostly on defense. Of course, Organization, has been a big part of what he does as a Head Coach. He uses power spread ideas off the field as well as on. But his offenses were starting to struggle due to his resistance to the modern type of PS Offense. He finally started hiring PS Coaches left and right to not only change his offense into a Power Spread Concept, but add to his already strong Defensive Schemes. Lastly, he started recruiting for these kind of schemes. Due to Time(Success) & Space(Bama) Saban has amassed arguably the best talent ever seen at the College Level. By now focusing on recruiting that accentuates PS Football, Bama is stronger than it has ever been in its history. That’s saying a lot. In last year’s championship game Saban got undue credit for making the switch in QB that led to Bama’s great 2nd Half comeback versus Georgia. I do feel that it was a move made more out of desperation rather than a stroke of genius. It worked because of the ridiculous level of talent on Bama. It also worked because Tagovailoa has more aggressive variety than any other QB in America. His inexperience showed immediately with an ill advised interception, but Power Spread is not about focusing on mistakes. His strong mind and talented team kept him aggressive throughout as he led Bama to a legendary win. A high scoring full blast Power Spread win by Nick Saban’s Team whether he chooses to sees it that way or not. Prognostication – Clemson D / Saban Blow Up / Tua Inj? Will Saban’s Emotional Decisions Backfire This Time? Will we have more heroics from Tua? Will Saban make the right moves again – whether by accident or otherwise? Or will his emotions get the best of him? Will he get too conservative as he tends to do with a big lead? Will he throw a temper tantrum if the defense isn’t executing to perfection? Will emotional decisions actually backfire this Time? None of the above matters if Clemson can’t stay close. I really can’t see a big comeback by Clemson because of the QB situation. The Freshman is top notch, but he’s still a freshman. And before bringing up Tua, remember – Tua was surrounded by a ton of talent and is a special kind of kid. I don’t mean any disrespect to Lawrence as he’s also a special kind of talent. But to expect him to lead a comeback versus the schemes and talent of Alabama is unrealistic. There is a chance that Saban will get conservative again with a big lead. As he did versus Oklahoma. But OU is used to playing faster than Clemson and was down by a lot of points. I don’t expect Clemson to be down by that much. And if they are I don’t think they have the type of Offense to score that fast – even versus a conservative Saban. The best chance for Clemson, again, is for their Defense to rise to the occasion and keep the game close. I think this can happen. Then they will need big plays – by both the Defense and Offense. I think this can happen as well. Lastly they will need a Saban explosion and some bad decisions on his part. His negativity may make his team press then panic towards the end of the game. IF this were to happen, I expect Dabo Swinney to shine. His positive attitude – especially as an underdog – will come through. The schemes of Venables are at their best when the opponent’s offense is pressing. Big plays could start to explode for Clemson towards the end of a close game. Bama could finally implode for the first time all year. Tua knocked out of the game? One last thing before my final pick. What if Tua gets knocked out of the game? I have to entertain this thought as we all know there will be a lot of pressure and hits from Venables’ Defense. If Tua gets knocked out, Bama can definitely win. Hurts is better than most people think. The problem is that he doesn’t possess the variety of talent that Tua does. Basically he’s not the same as a passer. Versus this Clemson Defense that will be big. IF Bama has an early lead and Tua goes out – but Saban STAYS AGGRESSIVE WITH HURTS – then and only then will Bama still win. If Saban goes into a hole they will lose. IF Saban spends the 2nd Half screaming and yelling at Hurts and everyone else, they will lose big. My Pick: Bama – But don’t be surprised by a Clemson upset! Another Classic that Clemson pulls out? 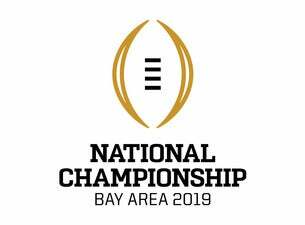 Though I don’t think we will see the Classic I predicted in the 2017 National Championship Game, this should be a high quality game between the two best teams all year. I do give a 40% probability of a dud. Even as a “dud” it should still be a high quality, if boring, game. But it could be a great one – or at least a great ending – if Clemson stays close. My heart says Clemson. They keep it close and pull it out at the end. Tua gets hurt or doesn’t. Either way Saban’s blows up emotionally in the 2nd half and adversely effects his team with his negativity and decision making. I do believe this could really happen. First – Clemson is led by a Freshman QB against a very talented Defense. I don’t like the Bama DSchemes quite as much without Jeremy Pruitt as DC. But the Defense is still running good schemes with top notch talent. What’s more, I think Mike Locksley has really turned Bama’s Offense into a full blast PS Offense regardless of the QB. Locksley learned Power Spread from one of the early innovators – Larry Fedora. He’s the strongest PS Offensive coach Saban has ever hired. He expertly mixes in some ProPS to keep Saban happy. Even for Venables D, it will be hard to contain this Offense all game. I think many people are underrating Clemson’s chances. Because of Venables’ DSchemes and the Culture Swinney has built – Clemson has a legitimate shot even though Alabama is definitely the more talented and better team. But the pressure is on Bama to win. A negative Saban could add to that pressure. If he does – we may get that upset. It’s a tough call, but I’m sticking to the PS Meter. Never before have we seen this much talent combined with PS Schemes. PS is evolving fast due to coaches like Venables, but it may not quite be enough at this time. Soon…. Soon….